A new look Delhi Capitals is doing everything possible that can be done new this Indian Premier League (IPL) 2019 seasons. Going into the new Indian Premier League (IPL) season with a brand new identity, JSW and GMR co-owned franchise, Delhi Capitals on Sunday launched their Official Anthem for the IPL 2019 . The anthem titled “Roar Machaa” has been composed and sung by famous Bollywood score composer and singer Amit Trivedi. The anthem showcases the vibes of the city of New Delhi with its lyrics, which have also been written by Trivedi. The video features most of the iconic locations of the capital city, the home venue of Delhi Capitals. “It’s been an absolute honour and great fun working on this year’s anthem for the Delhi Capitals – Roar Machaa. We want the city and its people to experience the quintessential Dilli vibe through this song. That’s why we’ve incorporated words like ‘scene’ and ‘swagger’, and phrases like ‘lagi padhi hai lanka’ that are typically Delhi. And the stress on the word ‘roar’, a natural continuation from the team’s magnificent tiger logo, essentially captures a quality that Delhiites possess – fierceness,” says Trivedi. India’s foremost computer networking training institute, Jetking Infotrain Limited was announced as the Official IT Skills Training Partner of the Delhi Capitals for the IPL 2019. The JSW and GMR co-owned franchise made the announcement on Sunday. The deal will see Jetking begin a one-year association with the Delhi Capitals. Jetking will feature as an official partner on the official jersey and back of the helmets and caps of the Delhi-based franchise. 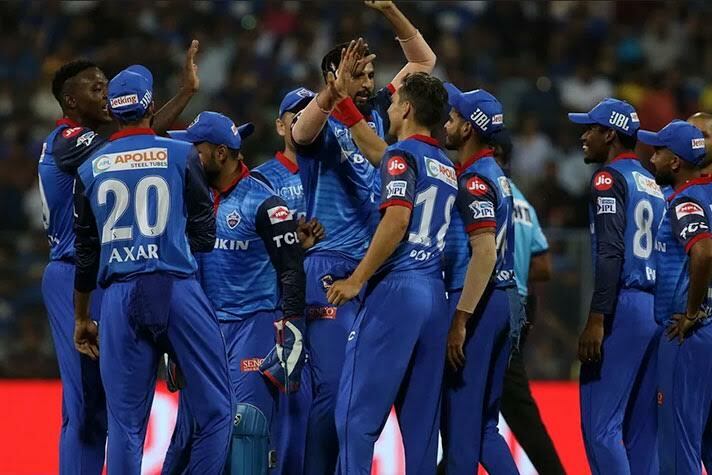 The Shreyas Iyer-led Delhi Capitals have started their season against Mumbai Indians on Sunday with an emphatic win at the Wankhede Stadium in Mumbai. The Delhi Capitals will next be playing their first home match tomorrow (Tuesday,) when they host defending champions Chennai Super Kings at the Feroz Shah Kotla Stadium.